After many years of doing business as a retailer, and buying models, plaques and other hand-crafted wood products from other manufacturers, I had become extremely disappointed. After dealing with many different manufacturers over the years, I was never satisfied with the quality of the products. Being retired a retired Air Force Aircraft Maintenance SMSgt, I had a great deal of knowledge of aircraft, and very high standards. Yet, no matter what kind of feedback I provided to my suppliers, it always seemed to fall on deaf ears. It was if they did not want to improve their products! Additionally, the customer service I received was atrocious. This always upset me tremendously, as it was me that my customers saw…not the manufacturer I bought the products from. I always told myself I could do better. 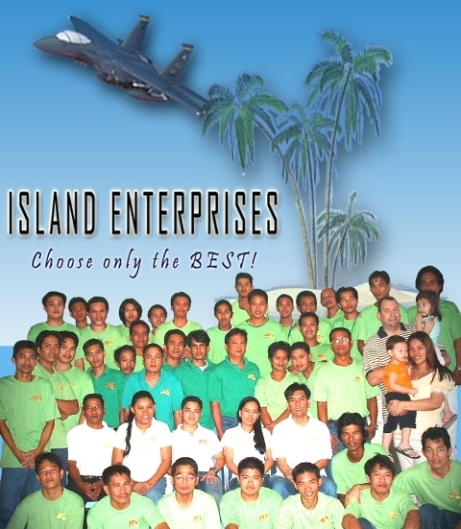 Well in March 2002, I put my money where my mouth was…my wife and I started up a small operation with a few craftsmen, in a 3 bedroom house in Angeles City, Philippines… doing our own production. Our goal was to revolutionize this business!!! We decided to do just the opposite of what our previous suppliers did to us. We set out to hire and teach all our craftsmen, and support staff a whole new way of thinking about standards, a goal of turning out absolute perfection in everything we do, using only the best quality materials, and communicating with the customers throughout the entire process. But more importantly than anything else, is our 100% money back guarantee if any customer is not ecstatic with our products and our customer service. These were the principles we wanted to build our company on. Another principle we knew we had to build our company on, was honesty and respect to our work force. We wanted to have a company that was respectable in the eyes of the public, while creating an environment that our folks would enjoy working in…. we wanted everyone to feel as they were part of the team. We pay salaries above the minimum wage, full benefits, health insurance, sick leave, and an annual bonus to attract a better caliber of craftsmen and support staff. This kind of thinking is not too common in most 3rd world countries. As I mentioned earlier, we started off with a small work force in a 3 bedroom house. In late 2003, we had to move to a larger commercial building, as we had grown to about 20 people, and we needed more space to keep up with production needs. In Oct 2005, we had to make the move again…to yet a larger facility. We’d grown to about 40 people, and had run out of room yet again. We are now located about 2 minutes outside the Friendship Gate of Clark Air Base, in a large warehouse. During the past 7 years we have built a work force of about 50 very talented people. This includes an office staff of 5 extremely gifted, knowledgeable and customer oriented people. At least daily we receive e-mails complimenting our fantastic office staff… not to mention the quality, detail and accuracy of our products. However, the fact that we keep only the best craftsmen and office staff, take good care of our work force, and use only the best materials and processes, comes at a cost. You may find that some of our products may be more expensive than that of other suppliers. We are very proud of the company we have built, the people who work for us, and the foundations our company is built on. So much so, that we offer a 100% money back guarantee to anyone who is not totally convinced they have bought the best hand crafted products available, while also dealing with the most professional staff in the world.